It's a new year and a fresh start! I like to take stock of all the areas in my life this time of year and map out goals I'd like to manifest over the course of the next twelve months. One area in particular that I'd like to revamp would be this blog. In 2017, I was fairly consistent with weekly content. I, 2018, I want to use this blog as a means to stay on track in my health and fitness goals as well as continue to write about products, issues, recipes, and anything else fitness or circus related. 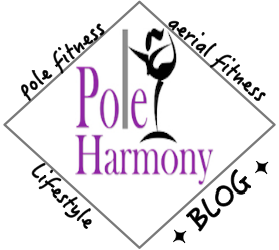 So here is an outline of the types of content and goals I have in mind for the coming year for Pole Harmony. Thank you to all my readers and dedicated followers that have routinely read, subscribed, commented, and shared my posts all these years. I really appreciate your loyalty to Pole Harmony and the content I am able to share with all of you every week.